In Staffordshire, England is UK’s most popular theme park known as the Alton Towers and owned by Merlin entertainment. The travel guide of Alton Tower aims at introducing you to the joys and amusements of this theme park that can light up your day and entertain your kids while relaxing you as well! A family outing can be complete at the Alton Towers and you will cherish the memories of this experience for years to come. Clear road signs can easily guide you to this park and the roads are well built and well connected to not only London but other cities as well. Walking is by far the best option when you want to explore the inside of this popular get away. By making proper use of the map that is handed over to you at the entrance for free you can never lose your way in this theme park. If you feel that you are too tired to walk you can also use the Sky Ride monorail for moving around. 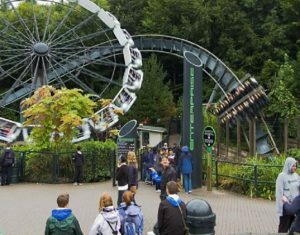 The ticket prices at the Alton Towers vary from time to time and so the Alton Towers travel guide would recommend you to check the internet for current prices and make online bookings to make your trip cheaper. There are various facilities that make it easier for you to attend to your baby including changing your baby’s nappies and pacifiers that help you nurse your child better. The First Aid Centre helps provide proper medical facilities and make your trip safe and convenient. There are also a number of cash machines that can solve your money problems in a jiffy. Among the various rides available you must at no cost miss out on the eight famous “White Knuckle” rides which include the “THI3TEEN”, which has been introduced recently in 2010. The Duel, Hex, Congo River Rapids, Runaway Mine Train and The Flume are also attractive rides that you should try out! The Squirrel Nutty ride, the Old Mc Donald’s Farmyard and the Beastie are rides that are sure to amuse your children. There are also exciting water parks, spas and golf courses that can make your trip even more exciting and enjoyable. Fast food joints like Mc Donalds, KFC, and Burger King can make your meals tasty. There is also the Old English pub, an American Barbeque outlet, and a Mexican restaurant if you want a change of taste. The many food stalls provide you with delicious yet cheap meals. The picnic area especially caters to those who choose to bring their meal from home. A number of popcorn and soda vending machines throughout the park take good care of your snacks. In case you feel too tired to go back home or have not had enough of this theme park in a day’s time then you can crash at the Alton Towers Hotel or the Splash Landings Hotel. 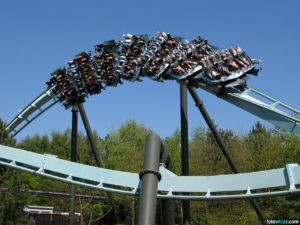 So if you and your family have not had enough time together recently and are looking for a quick and enjoyable getaway, then the Alton Towers travel guide recommends you to visit this theme park and make your holiday memorable.